This product was recommended to me by a nurse in a dermatologist office. It's pleasant to use; no unpleasant oder, absorbs quickly. I'm pleased with the results. Must use item after cleansing my face! I never want to be without it! I received two samples of this product with a previous order. I was using Skinceuticals Blemish + Age Defense which I really loved, but when I ran out I thought I would give this product a try. I was really surprised that this product worked as well, if not better than the more expensive Skinceuticals product. I will be buying this in the future! I had a lot of congestion on my chin. This Lytic TX helped to clear the bumps I had on my chin in less than a week! I've been using this for almost 2 weeks and I have noticed that my skin is way better in texture. I was having problems with dry, flaky skin and cystic acne around my chin. The flakes are dramatically better and I'm still healing from the hormonal breakout I had right before I started using the lytic lotion. I'm almost clear and very excited about the results I've seen so far. Got this for my Keratosis Pilaris on my arms hoping to get excellent results as it is expensive and the reviews are pretty good, but I was not completely satisfied. It works just OK, I will not be purchasing this again. I find the milk lotion from LAROCHE-POSAY works better, this will be my next purchase.. 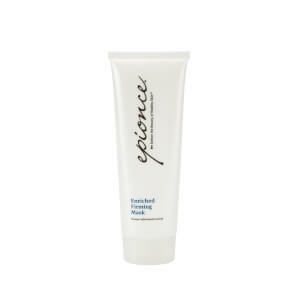 I love Epionce products. They are pricey, but they deliver excellent results. I couldn't live without the lytic. It works wonders for tired skin. Use it at night and wake up to radiant skin! This product evens my skin tone and reduces the red blotches I have. Love it!! This product has evened out my skin tone and lightened dark spots. I have been using it for at least four years. I also put it on my neck and chest to help even out the skin tone in those areas. I originally bought it from my dermatologist but have found the prices at SkinCare to be much better. My daughter has found it has cleared up her acne. Highly recommended!